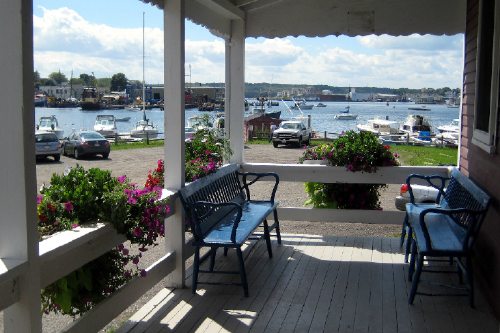 ﻿ North Shore Arts Association of Gloucester. Celebrating over nine decades of fine art. Visit us! Photo by North Shore Magazine. Click image for full article. North Shore Arts Association established in 1922, occupies one of the most unique and historic settings in New England. With its expansive harborside galleries, visitors from all over the globe are provided the opportunity to view one of the largest and diverse collections of paintings, sculpture and graphics on Cape Ann. The artistic life on Cape Ann was first centered in Gloucester where native Fitz Henry Lane, in the mid 1800’s, was building his reputation as an artist painting luminescent harbor scenes. Francis A. Silva, William Trost Richards, Winslow Homer, and many other noted artists of the 1860’s and 1870’s were attracted to Annisquam, Magnolia and Rockport after seeing Lane’s work in Boston and New York exhibitions. Bridging the last quarter of the 19th into the 20th Century were Frank Duveneck and his fellow artists and students, John Twachtman, Childe Hassam, Willard Metcalf, Theodore Wendel and Edward Potthast. They were drawn to this ‘cradle-like serenity’ (as Theresa Bernstein described it) of East Gloucester with its gem-like subject matter. The first local art exhibitions were held in the lobbies of the summer hotels until William and Emiline Atwood built and opened the Gallery-On-The-Moors, located on Ledge Road in East Gloucester. After seven years the Gallery proved to be too small for displaying the art of hundreds of new artists coming to the art colony. The artists discussed the situation in the home of Mr. and Mrs. William Weiss on August 5, 1922. Among those attending were William Atwood, Paul Cornoyer, Cecelia Beaux, Hugh Breckenridge, Frederick J. Mulhaupt, George L. Noyes, Walter L. Palmer, L. Edmond Klotz, and other prominent artists and residents of Cape Ann. The North Shore Arts Association was formed. The artists immediately planned a large exhibition to be held in the summer of 1923, the year of Gloucester’s tercentenary celebration. 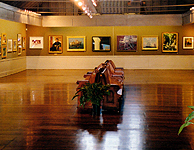 The artists on Cape Ann readily welcomed the new and larger Association in East Gloucester, particularly since the purpose and aim of the Association was to bring together each year a comprehensive and representative exhibition of painting and sculpture, and to persuade other artists to come to the North Shore and help in the effort to further American art. On December 2, 1922 the Association was officially incorporated as a non-profit institution under the laws of the Commonwealth of Massachusetts. The North Shore Arts Association of Gloucester opened its doors to the public on July 14, 1923 in the refurbished Thomas E. Reed building. The exhibition was held on two floors. There had never been a larger collection of art shown at one time in Gloucester. There were 230 paintings, drawings and etchings, and fifteen pieces of sculpture by more than 140 artists. In addition to the exhibitions, each summer for nearly 100 years, the galleries have been the center for a varied program of entertainment: lectures, cabarets, parties, memorials and concerts. Such talented musicians as the Boston Sinfonietta conducted by Arthur Fiedler, the famous pianist Jesus Sanroma, George Copeland, and the Gruppe trio from New York have been heard and enjoyed. Throughout the 97 years of the North Shore Arts Association’s existence, each summer has ushered in large annual exhibitions of paintings and sculpture. These exhibitions have attracted a great many visitors, have won the praise of critics and museum authorities, and by purchases from these visitors, have enriched many private collections. Today the North Shore Arts Association has over six hundred members and looks forward to a still more active future.